The lens on your DSLR, compact or Compact System Camera is the most important part of your camera. It controls the conditions you can take photos in, how close you can get to a subject and how sharp it is. This is due to the lens channelling light to the sensor, so it can become a digital image. If, for any reason, the light is restricted or not correctly channelled to the sensor, the picture your camera produces won't be as good as it could be. The quality, size and amount of glass within a lens makes a huge difference to how your pictures are taken and which style of photography the lens is best suited to. You’ve probably noticed that certain lenses for DSLRs and Compact System Cameras cost more than others, even though the focal length (the number in millimetres that appears as 18-55mm, for example) is similar. The difference often comes down to how bright and sharp the pictures are that the lens can produce, and if it can withstand professional-level usage. You'll also notice that some lenses can zoom, meaning whatever subject you're shooting can be magnified so you won't need to move to get a closer photo of it. 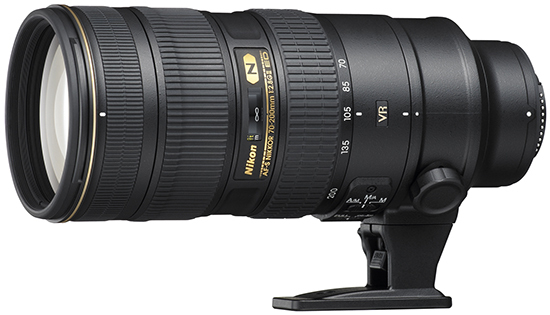 Others are unable to zoom, known as prime lenses, but are better suited to other styles of photography or situations. In this article we’ll show you what the different numbers on your lens relate to, how buying a new lens might improve your photography, and which lenses are best for sports, landscapes and other styles of photography. The focal length of a lens tells you how close you can get to a subject without moving towards it, and is displayed in millimetres. A lower number means a wider lens, which allows you to fit more into your photo, making it well suited to landscape photos. A higher number allows you to get closer to a far-off subject, such as a bird in a tree. A wide lens will typically have a focal length below 30mm, which makes it perfect for landscapes or a group photo. Heading further up the focal length scale beyond 100mm helps to shoot subjects that you can't move closer to, or want to be isolated without too much background, making them perfect for sports and wildlife. 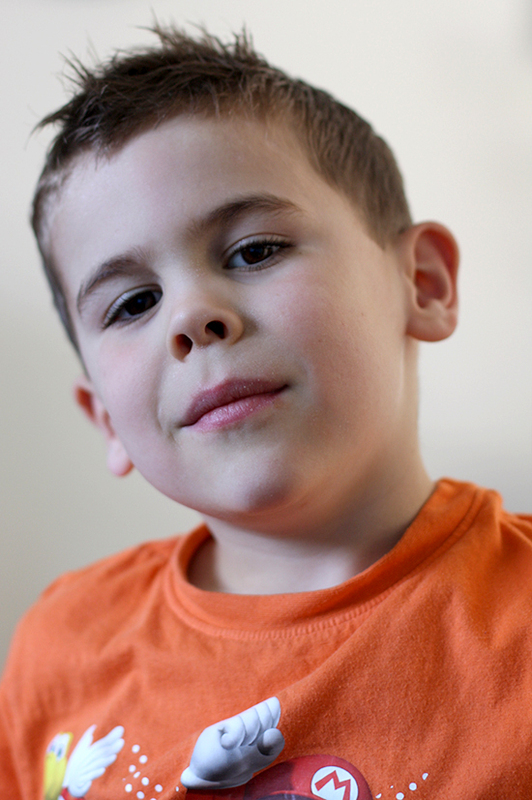 In-between 30mm and 100mm is well suited to portrait photography, as you may only want to concentrate on a small area of the person, such as the head and shoulders, but you'll still be reasonably close to them. 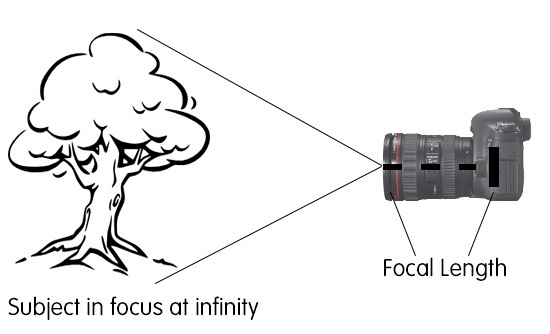 Focal length is calculated is by measuring the distance from the centre of the front of the lens to the sensor, while a subject is in focus at the furthest possible setting of the lens. You may find that a lens you have is shorter than it should be, this is because the glass elements within the lens can help to increase the magnification, so the lens can act as if it's physically longer. A zoom lens can move between two different focal distances, getting you closer to the subject without you needing to move. This means that a faraway object, such as a bird perching on a fence, can be made larger within the photo without needing to physically travel closer. A prime lens is fixed to a single focal length. 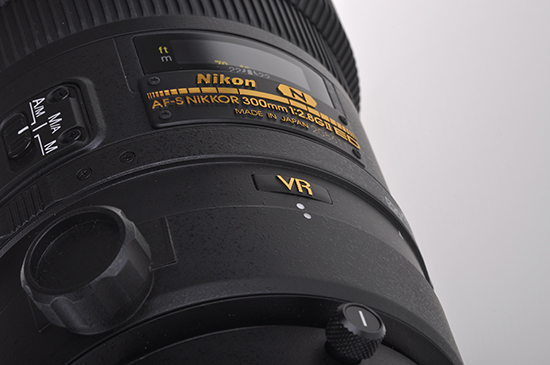 Why choose a prime lens over a zoom lens? On the surface a prime lens can seem like a poor cousin to a zoom lens, not being as versatile by only having one focal length. A prime lens has plenty of benefits though, and can be preferable in certain styles of photography. If you want to shoot insects, flowers or other tiny objects in high amounts of detail, a prime lens is well worth considering. This style of photography is called macro photography, and there are a number of true macro prime lenses available. Being a true macro lens means the subject is captured at life size which means the leaf, petal or insect you’re photographing will be as detailed in your image as it is in real life. 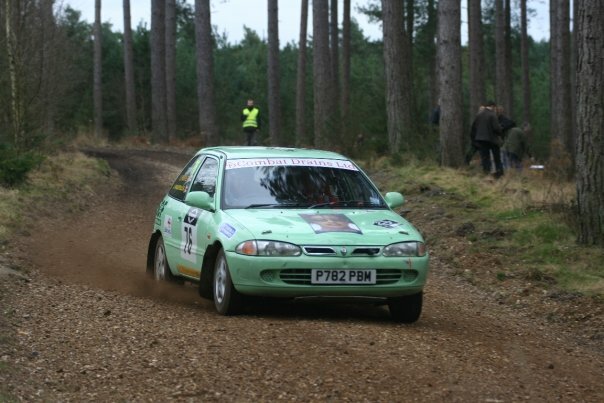 Sports and wildlife photography also benefit from a prime lens, as the person or animal you’re photographing will need to be focussed upon quickly before it moves out of view. Achieving focus depends on having as much light as possible travelling through the lens to the focus sensor inside the camera. Prime lenses have bright apertures, such as f/2.8, making them able to channel a large amount of light onto the focus sensor, therefore allowing the prime lens to focus rapidly. A blurred background, which creates a pleasing effect and gives the subject more prominence in a portrait image, needs a shallow aperture. Aperture controls how much of an image is in focus as well as the amount of light travelling to the sensor, and a lower number, such as f/1.4, will allow for more control over exactly how much of the person is sharp and how much of the background is out of focus. Prime lenses only have a single maximum aperture, because only one focal length is available. Only professional-level zoom lenses have a single maximum aperture throughout the focal range, with most having one maximum aperture at the widest angle, and another when the lens is fully zoomed. 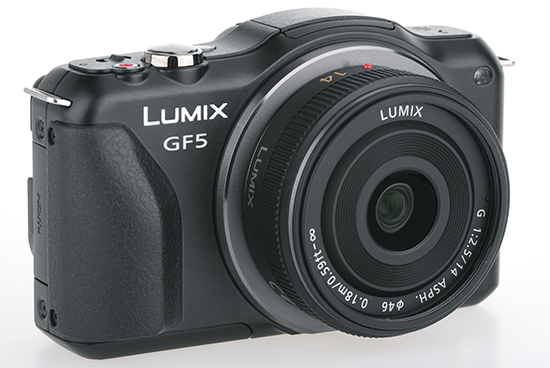 This is why a zoom lens will show the model name in this manner; 18-55mm f/3.5-5.6, as the two numbers after the f/ depict the maximum apertures at 18mm and 55mm. Because the maximum aperture can be selected at any point the performance of a prime lens won’t be as affected in low light as a variable aperture zoom lens. In low light the amount of glass within the lens makes a huge difference because each piece of glass, called an element, can direct a small amount of light in the wrong direction. A zoom lens needs more glass to move between the two focal lengths, so loses more light than a prime lens on the way to the sensor. This makes prime lenses able to produce bright images at night and indoors. 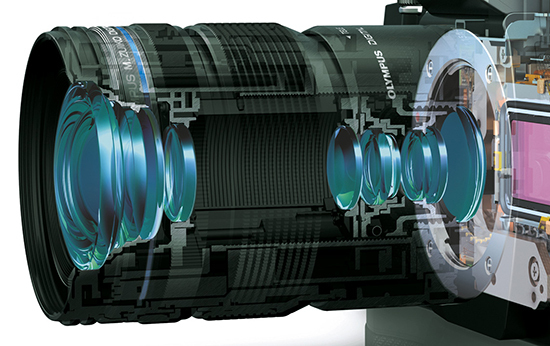 Prime lenses are also quite light in comparison to a number of zoom lenses that cover a similar focal length. For example the Canon 24-70mm f/2.8L series lens is 950g, which is as much as some DSLRs, where the Canon 24mm f/1.4 II is 650g. This makes them preferable to travel and street portrait photographers as a prime lens is easy to carry and use discreetly. 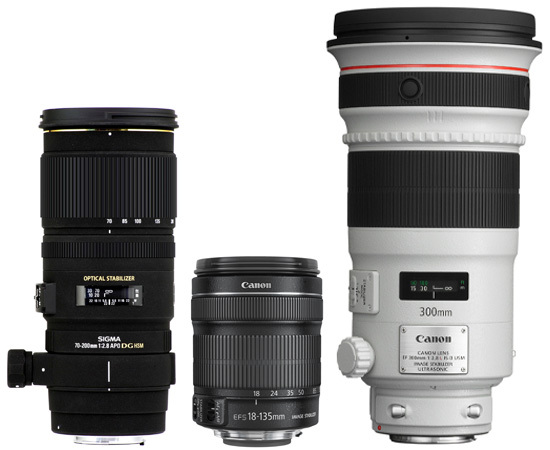 Why choose a zoom lens over a prime lens? A zoom lens is more versatile, as you’ve got two focal ranges to move between. The best example of this is so-called travel zoom lenses, which have a long focal length such as 18-250mm. This allows for a landscape image to be taken at 18mm then a far off object to be zoomed into at 250mm without the need to change to a different lens. The versatility of a zoom lens means you aren’t restricted to a single style of photography, such as landscapes or portraits, as you can choose a lens capable of covering more than one. For example, a 70-200mm lens can cope with wildlife or portrait photography, as you can use the 70mm focal length for taking a portrait image and 200mm for an animal far away. A zoom lens can be perfect for travelling as the amount of distance covered in a single lens means less options need to be carried around. You might only need one lens, for example, to cover landscape, portrait and architecture while you're wandering around a foreign city. This makes it far easier to pack the camera a less paraphernalia while be required. 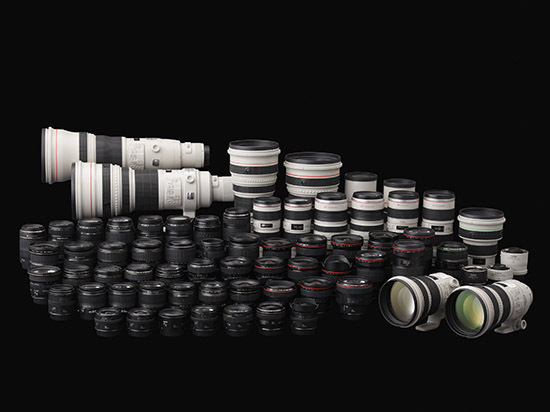 There are a huge amount of zoom lenses available to choose from for each DSLR and Compact System Camera, and as a result there’s a wide range of prices. There are zoom lenses for the absolute beginner, the aspiring amateur and the professional, as well as options if you want to specialise in a particular style of photography. 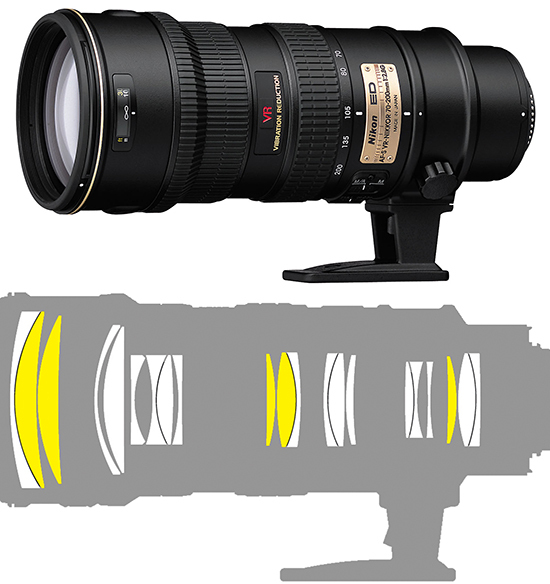 A number of zoom lenses, most commonly at the more professional end of the scale, have a fixed maximum aperture. This means that regardless of the focal length the same maximum aperture will be selectable. So for lenses such as a Canon 70-200mm f/2.8 the aperture of f/2.8 is selectable at any point. This is significant because a lower aperture means better low light performance and faster focusing, so being able to select a low aperture at all times makes it possible to take better sports, wildlife or night time images.